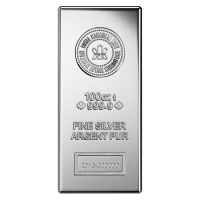 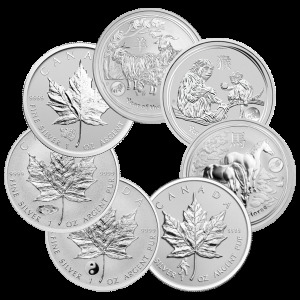 Stříbrná mince Kanadský lední medvěd 2013, 1,5 unce The first 1 1/2 ounce 9999 fine silver bullion coin launched by the Royal Canadian Mint. 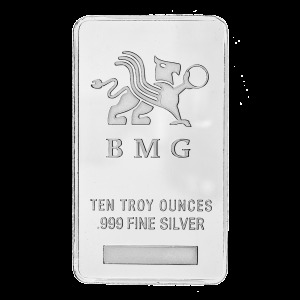 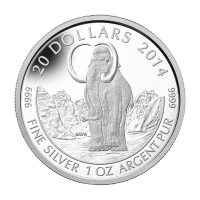 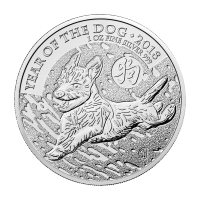 This coin is exceptionally thick, it captures the majestic polar bear roaming through the Arctic ice sheets. The obverse is struck with the effigy of Her Majesty Queen Elizabeth II. 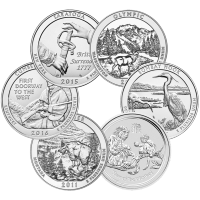 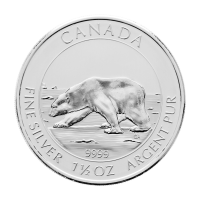 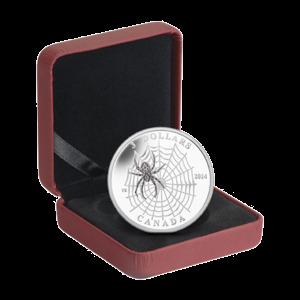 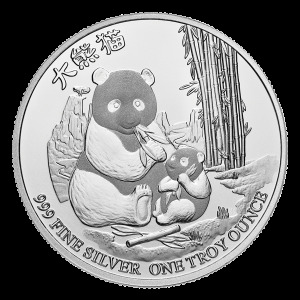 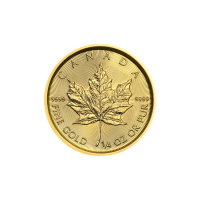 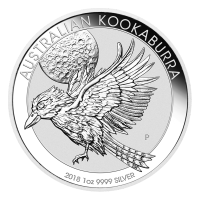 This coin is a special production piece and is not part of the Canadian Wildlife Series.